Ending on an ugly note, SB in Schenectady. 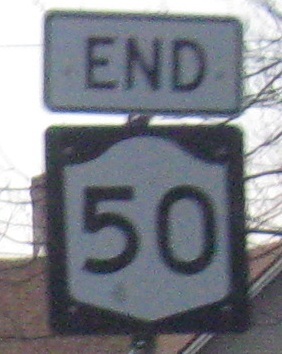 Continuing north, this old brown sign is along a randomly dualized section of NY 50 south of Saratoga Springs. 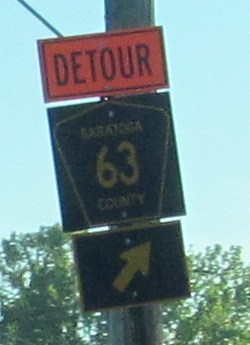 It's a two-lane road on either side of Saratoga Spa State Park. 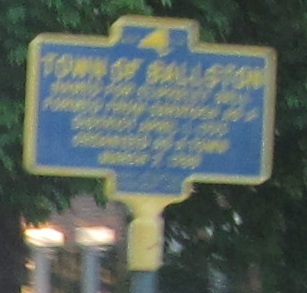 This Saratoga Springs sign, courtesy John Krakoff, once had borders; the letters never faded because they're detachable, not printed. 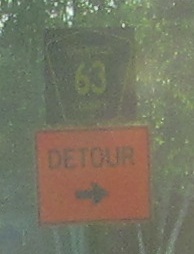 It's on Marion Ave. at the northern US 9/NY 50 junction.